Signup for our newsletter for special offers and details about the 11 Plus. Why Choose 11 Plus Mocks? HOW IS YOUR CHILD PROGRESSING? 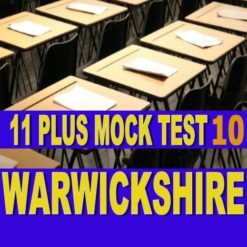 All 11+ mock exams provided by 11 plus mocks are designed, based upon similar lines to the Birmingham, Warwickshire and Walsall, CEM eleven plus examinations for Grammar school entrance. Our mocks tests are prepared using original material which is not commercially available in bookshops. The mock tests provided by 11 Plus Mocks are subjectively prepared, with consideration given to the most recent changes to examination structure and content. Sitting a series of 11 Plus Mocks offers your child the chance to perfect examination performance in preparation for the actual CEM 11 Plus tests. Mock exams can also act as a preventative measure to ensure that children who deserve Grammar school places do not miss out because of silly technicalities. After the test a detailed statistical report is sent by email, on the day following the examination (usually in the evening before 8pm). The report explains performance in each 11 Plus subject area, as well as overall. The report includes performance rankings and percentages, which enable 11 Plus students to target areas for improvement.